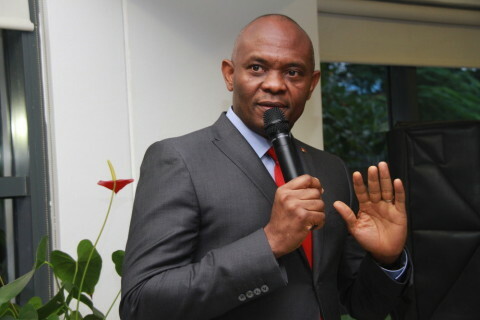 LAGOS, NIGERIA – Entrepreneur, and philanthropist, Tony O. Elumelu will lead a 5-day working visit to East Africa, where he will meet with national leaders of Kenya and Uganda. In his capacity as Chairman of United Bank for Africa (UBA), Mr. Elumelu will travel to Uganda (April 10) and Kenya (April 12) to meet with the Executive Presidents of both nations, Uhuru Kenyatta and Yoweri K. Museveni to discuss issues around the growth and development of the their economies, enabling entrepreneurship, infrastructure financing, regional economic growth and how the private sector in Africa can work in shared purpose alongside African governments to create prosperity for all Africans. On the side lines of these engagements, the Tony Elumelu Foundation (TEF) will gather members of the full local ecosystem – from investors to academia to established and emerging entrepreneurs alike – for an entrepreneurship ecosystem event. During the event, TEF alumni and members of the vibrant Kenyan and Ugandan entrepreneurship communities will receive insights from guest speakers who will provide practical, practicable information to help the audience develop their businesses and their business management skills. Guest speakers include leaders from TEF partner Microsoft and other ecosystem players including Google. During the visit, Elumelu will also meet with key stakeholders and policy makers in the countries to discuss infrastructural funding opportunities, as well as interact with leading private and public sectors players. He will host a Founder’s Forum with students of Makerere University, Kampala and University of Nairobi, two leading African institutions. At this Forum he will give young Africans insight into his own life, share tips and values for success while encouraging entrepreneurship and development. 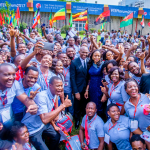 A proponent of the economic philosophy of Africapitalism, Elumelu has toured various countries in Africa and beyond, encouraging entrepreneurship and advising governments on why it is essential for private sector partnership to grow their economies. Through the Tony Elumelu Foundation, the UBA Chairman has supported over 3,000 entrepreneurs and counting, helping to build their dreams and businesses to a point where they will in turn employ other Africans to help build the continent. In March, the Foundation announced the 2018 cohort of its 10-year, $100 million TEF Entrepreneurship Programme, which saw the selection of over 1,000 African entrepreneurs with the most innovative, high-potential business ideas and an additional 250 entrepreneurs thanks to partnerships with the International Red Cross (ICRC) and the United Nations’ Development Programme (UNDP). Elumelu is the Founder and Chairman of Heirs Holdings Ltd, a family owned investment company committed to improving lives and transforming Africa. With portfolio spanning the power, oil and gas, financial services, hospitality, real estate and healthcare sectors, operating in twenty-three countries worldwide. 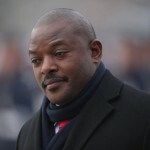 He sits on numerous public and social sector boards, including the global advisory board of the United Nations Sustainable Energy for All Initiative (SE4ALL), USAID’s Private Capital Group Partners Forum (PCG), and is Co-Chair of the Aspen Institute’s Global Food Security Working Group. He serves on the international advisory board of the Washington DC based think tank the Wilson Center and is a member of the Global Advisory Council of the Harvard Kennedy School’s Centre for Public Leadership. 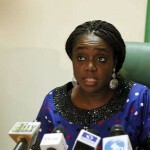 He is also a member of the World Economic Forum Community of Chairmen.